For Ajrin Construction Inc. our approach is not only to complete the required tasks, but our qualified and experienced experts are dedicated to give you the best advice on important issues such as those related to waterproofing. Our experts will guide you to choose the right choice of waterproofing that fits perfectly your property’s needs. Ajrin Construction Inc offers you a complete range of waterproofing systems particularly for residential units, ground tank systems, and membrane treatments. These membrane treatments are for terraces, roofs, balconies, decks and waterproofing internal areas. 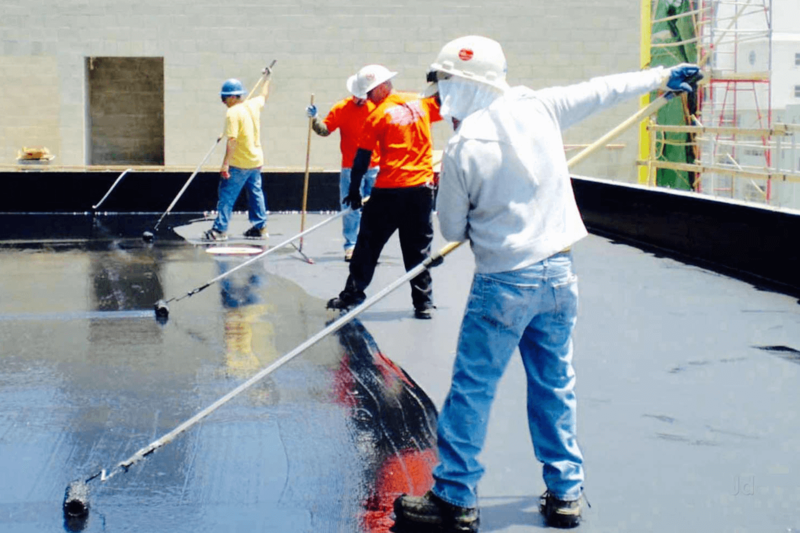 We have years of experience in waterproofing all types of roofing. We have roof and ceiling repairs specialists. We provide services related to seamless guttering, roof maintenance and chimney leaks. We also offer repairing services for broken tiles, leaking gutters, damaged or perished waterproofing membrane, cracked tiles, rusted screws and bolts. No matter how small or big the project maybe our highly qualified artisans are here to help you while providing best solutions. In order to satisfy our valued customers, we use the best quality material on any and every job we undertake!